Attaches easily to any buggy or pram. Actively encourages a good mood in the buggy. Small works of art made out of high-quality wood - pram chains from HEIMESS. This pram chain can match with the ladybug pacifier clip (ref. 733 480) and the frog rattle clip (ref. 737 520). 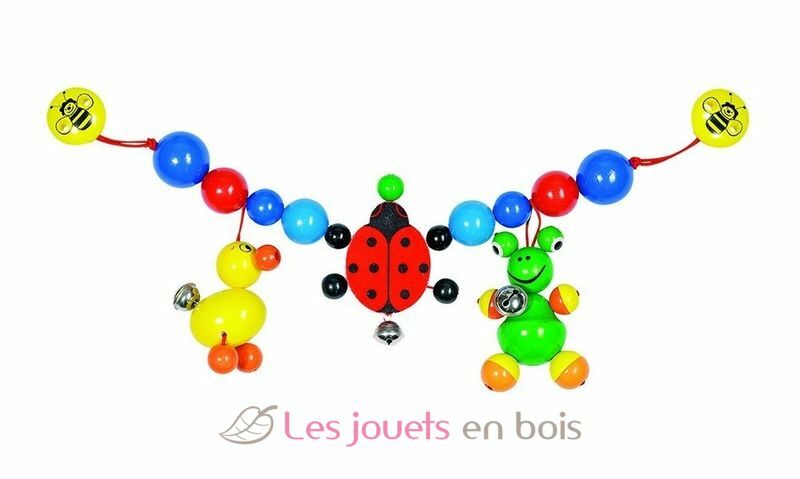 Duck/ladybug/frog pram chain, a wooden toy made in Germany by Heimess. Item number 762 290.